If this is your first time joining us you will love it. It features Close to My Heart Consultants from all over Canada showing you their projects. The Hearts of the West Team was founded by Nancy Klein. 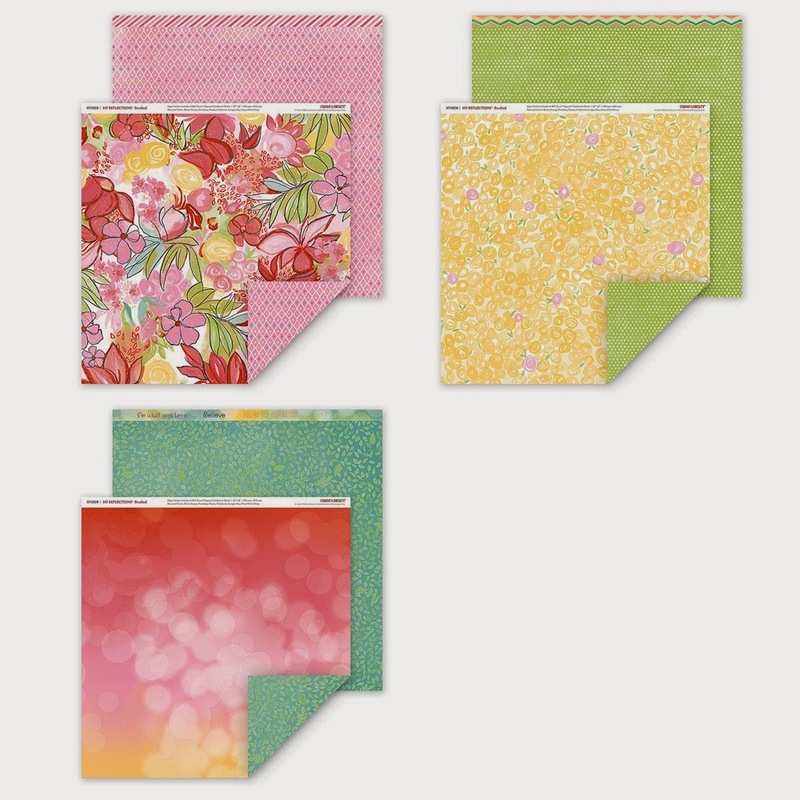 This month's challenge is using Close to My Heart's Blushed paper packet from the Annual Inspirations Catalogue. 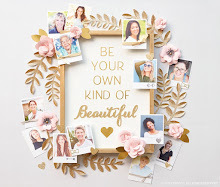 If you came from Justine Hovey's Blog, then you are on the right track. This is a go around blog hop so you can start anywhere. Just in case, the full list of participants is at the bottom of this post. So as always, grab your beverage of choice and hop around the team with us. 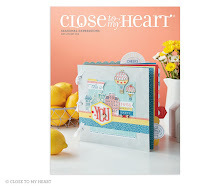 I used Close to My Heart's Blushed Paper Packet with CTMH Canary & Colonial White cardstocks. 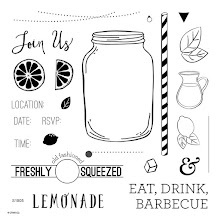 To embellish the layout, I used CTMH's Flamingo Dots, CTMH's Dot Embossing Folder, CTMH Artfully Sent Cricut Cartridge (JUNE), My Creative Time Stitched Heart Layering Dies and My Creative Time Bunch of Fun Circle Dies. 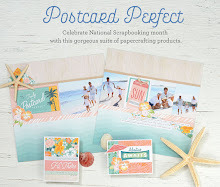 I used Crafted with Love (my), You're the Bomb (You're) and Rain or Shine (Sunshine) stamp sets with CTMH Pixie ink. Your next stop is Terry Ann Diack's Blog. Thank you for joining us this month and please come back and join us next month to see what creative projects we can bring to you. 7. Donna Digby - You are here. What a unique use of the paper. I love it! Almost monochromatic. 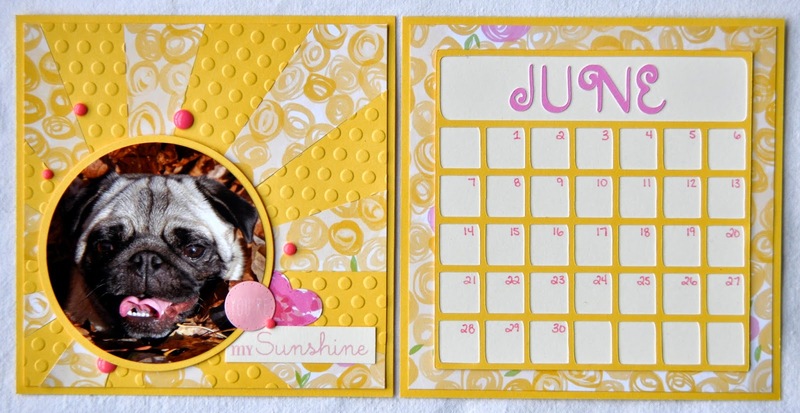 Love the starburst and embossing. Very cute. Love the bright colours and the way your showcased your dog. Super cute, love this pic!!! Cute sunburst! I love you calendar posts! 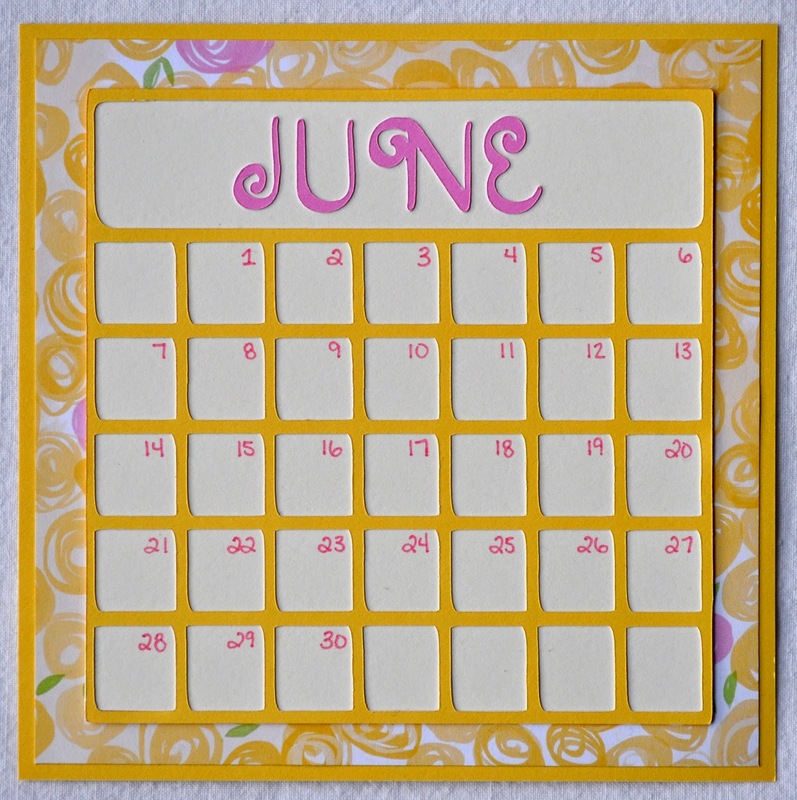 Fabulous calendar layout! It's a great way to look back on all you've done in a month! Thanks for sharing Donna! Great calendar layout. It really is bright and cheery. I love your calendar layout! I didn't realize this gorgeous paper was in the paper pack as I only have the bulk paper. Order going in this weekend and it will have the Brushed paper pack on it. This is so sunny and cheerful! Happy 40th Birthday Trevor from G & G!